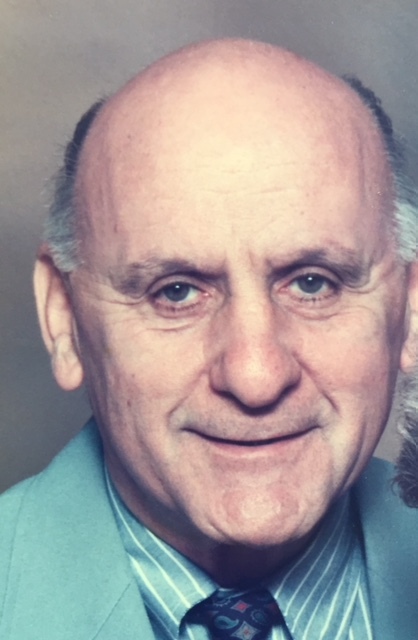 BRAINTREE: Carl J. Mackiewicz, 89, of Braintree, formerly of Squantum, passed away peacefully on August 19, surrounded by his loving family, after a brief illness. Carl was predeceased by his wife Lucy last month. She was the love of his life and they were married for 65 years. Carl was proud to have served as a United States Marine during the Korean conflict. He never left home without his Marine hat and always appreciated being stopped and thanked for his service by strangers. After leaving the Corps as a sergeant, he took advantage of the GI Bill and earned his degree in electrical engineering at Northeastern University. Carl enjoyed a long and successful career as an engineer, most notably with the Raytheon Corporation. His Polish heritage loomed large in Carl’s life story. He met Lucy after he joined the Krakowiak Polish Dance group, and they married soon after. He served as the local commander of the Polish American Veterans association. And for over 50 years, he hosted a weekly Polish radio program on WUNR in Boston. Carl would play polka music and, being fluent in the language, was very likely the only Polish voice broadcast to the tight knit Polish community in the city. Unlike his children, Carl was never an avid sports fan. But late in his life he became a huge Red Sox fan. He could often be found watching the game, margarita (no salt, no ice) in hand, and pointing out the many strategic flaws perpetrated by whoever was the Sox manager at the time. Red Sox Nation will not be the same without him. Born and raised in Boston, Carl was the son of the late Josephine and Andrew Mackiewicz. He is survived by his children Thomas Mackiewicz and his wife Susan of Ogunquit ME, John Mackiewicz and his wife Joyce of Pelham NH, Christine Cunningham and her husband David of Braintree MA, and James Mackiewicz of Milton NH. He is also survived by his grandchildren Jason Mackiewicz, Kurt Rogers, Audrey Rogers, Kayla Mackiewicz, Michael Gilbert, Rachael Gilbert, and KC Cunningham. Visiting hours will be at Peck Funeral Home at 516 Washington St., Braintree MA on Wednesday August 22, 2018 from 5 to 8 PM. A funeral mass will be celebrated at Our Lady of Czestochowa at 655 Dorchester Ave, Boston MA on Thursday August 23, 2018 at 10 AM.